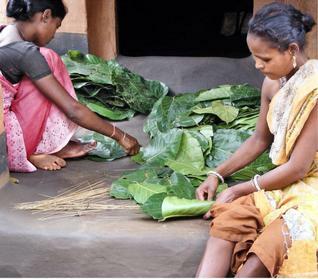 With lives that are closely bound to the forest, these tribal women of Odisha make sure their forests are not exploited in the name of commercialisation or 'eco-tourism' for that matter. Baripada: Under the green canopy of towering Sal trees, a small white shrine is home to a clutter of baked earth animal idols. In the silence of this forest, which is a primary source of sustenance for Phoolmani, who lives in the Budhikhamari cluster of villages on the edge of Baripada town in Mayurbhanj district, faith meets livelihood options. 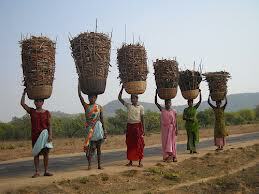 They also collect mahua flowers, mushrooms, and other non-timber forest products. "This forest belongs to us. They protect us, just as we, in turn, protect the forest by guarding it all day in rotational groups," states Phoolmani, emphatically. They have organised themselves under the Budhikhamari Joint Forest Protection Committee, a pioneering land rights collaborative intervention that covers 100 villages near the Manchabandha Reserve Forest. 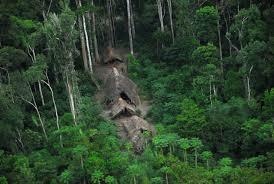 Usually, it’s the women who are the first to perceive any danger to the forest. The state Forest Department, which is meant to protect the forest, had quietly given permission for the building of an eco-tourism resort there, in clear violation of the 2006 law that empowers the tribal people with forest rights. The Indian Forest Act, 1927, which is the country’s main forest law, is a colonial one, and since it was enacted to serve the former British rulers' need for timber, it does not speak of conservation. This is what makes the Scheduled Tribes and Other Traditional Forest Dwellers (Recognition of Forest Rights) Act, 2006, popularly called the Forest Rights Act, a key piece of legislation. The Act secures the rights of forest dwellers to land and other resources. While the local body elections were taking place, the Forest Department began fencing off the entire forest and also knocked down as many as 1,500 trees in the first phase of construction for the eco-tourism park, reveals Rights and Research Initiative (RRI), an international non-profit group, and its local partner, Vasundhara, which works along with the tribal communities here. The RRI is a global coalition of organisations working to encourage forest land tenure and policy reform as well as the transformation of the forest economy so that business reflects local development agendas and supports local livelihoods. Ever since the 1992 Earth Summit took place in Rio de Janeiro 20 years ago, the world had set for itself the key objectives of sustainable development, protection of the rights of indigenous peoples and local community management of forests. "But somehow the Forest Department in India is yet to come to the terms with the fact that the right to the forests are now with the local people, especially since the new law," says Tushar Dash, who leads Vasundhara’s thematic group on Forest Rights Act. When the women realised that their control over the 118 hectares of forest land was slowly slipping away, they decided to raise their voice. She says, "We cannot allow outsiders to come in our forest. “We ensured that the collector gave written instructions to the Divisional Forest Officer of Baripada to stop the project,” says Lilima. By the end of March the communities living adjacent to the forest managed to halt the eco-tourism project through the political processes defined under the Forest Rights Act. When Bijay Kumar Panda, Divisional Forest Officer (DFO) of Baripada, was approached with the demand to stop work on the resort, his first reaction was to say that the tribal people were being instigated by a few individuals. When confronted with the facts he went to on to explain why in the first place the Forest Department had tried to fence the area and start an eco-tourism project without the permission of the local 'gram sabhas'. Panda says, "We protect whoever protects the forest. Now a decision on the eco-tourism project can be taken at a meeting of the Sub-Divisonal Level Committee (SDLC)." According to Radha Krushna Rout, Sub-Collector of Baripada, the views of the local tribal communities are taken into account when any kind of infrastructural work happens in the area. Meanwhile, Baripada’s tribal women are clear: They will stand united in the exercise of their forest rights and any move to encroach on their territory will henceforth be met with strong resistance. 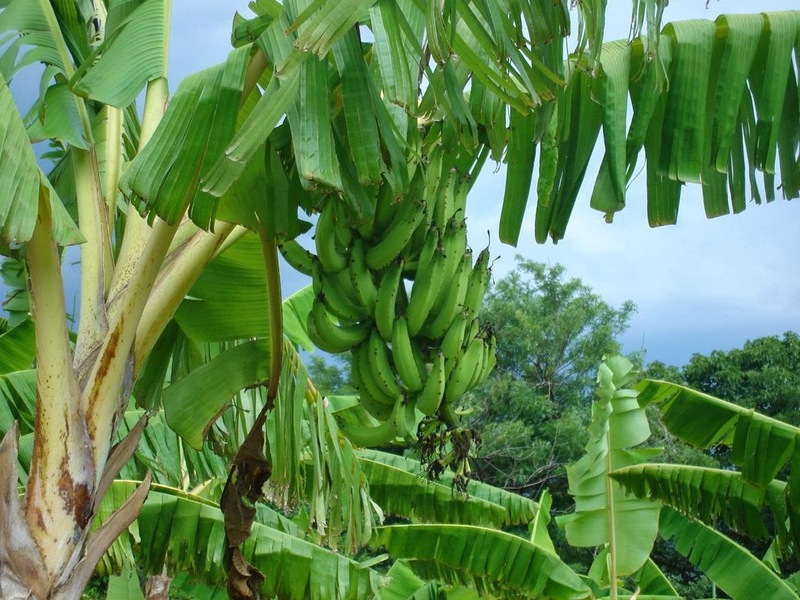 Plant and gift a Banana today.